Biblical Echoes and Rural Warnings in Anthony Trollope’s The Small House at Allington. ANTHONY TROLLOPE’S The Small House at Allington has long been identified as a much bleaker novel than other novels in his Barsetshire series. In The Novels of Anthony Trollope, scholar James R. Kincaid called The Small House at Allington “far and away the darkest of the series, so dark that it has sometimes been dismissed by lovers of Trollope who expected an uninterrupted idyllic series” (Kincaid 126). A great deal of Trollope scholarship notes and interrogates the darkness of The Small House at Allington that so alienates it from much of his early work. Yet, though critics often study the especially grim portrayal of the broken pastoral or the evocative, but sterile sororal and maternal networks of The Small House at Allington, these elements are not typically studied together. Yet, the pastoral and maternal elements of the novel–– and their stark infertility–– demand our consideration of the Biblical story of Ruth in the Old Testament. By using the story of Ruth as a foundational narrative of redeemed widowhood, we may measure the severity of Trollope’s choice to leave Lily Dale unredeemed and more accurately interpret his uncharacteristically dark prophecy for the rural England she represents. In the novel, Anthony Trollope includes an explicit reference to the story of Ruth, so we may be certain that the narrative passed through his consciousness as he wrote The Small House at Allington. It is Lily herself who says to her beloved Crosbie, “Then listen to me again, once more, my heart’s own darling, my love, my husband, my lord! If I cannot be to you at once like Ruth, and never cease from coming after you, my thoughts to you shall be like those of Ruth…” (160). Importantly though, even the footnote in the Penguin Edition, fails to nuance the citation. The editor cites Ruth’s famous refrain, “whithersoever thou goest, I will go: and where thou lodgest, I will lodge,” but does not clarify that this is a declaration of maternal-sororal loyalty from Ruth to Naomi, and not of romantic, fertile love between Ruth and Boaz1 (676). The Book of Ruth opens as Naomi, Ruth’s mother- in- law, grieves the loss of her husband and both her sons, including Ruth’s late husband, Mahlon. Lily Dale, on the other hand, never marries. Now established as widowed mother and daughter, Mrs. Dale and Lily resemble clearly Naomi and Ruth. Yet, as we shall see, the radical hope for redemption that the story of Ruth establishes only accentuates the lack of hope or resolution for Lily Dale. While maternal bonds knit the core of both The Small House at Allington and the story of Ruth, both narratives reveal the problems of these relationships. Though strong ties between mother and daughter or daughter-in-law are often celebrated, they are inherently infertile; this infertility and the need to rectify it revolve at the center of the narratives. Scholar Robert Polhemus synthesizes the “disturbing sterility of love” in the novel: “The world here seems sick and ominously barren, despite the superficially comfortable Barsetshire life and the comedy of London bureaucracy” (Polhemus 91). Both matriarchs, Mrs. Dale and Naomi, push away from the maternal bonds they belong to in many ways. Lily, on the other hand, resigns herself to the intimacy only of the maternal, giving herself like a bride to her mother saying, “you must be very good to me now; and I must be very good to you. We shall always be together now. I must be your friend and counsellor; and be everything to you, more than ever. I must fall in love with you now” (327). Interestingly, Mrs. Dale does not respond, perhaps a silent condemnation of such a non-fertile bond, especially as she holds out hope that Lily may yet marry Johnny Eames and participate in a truly and traditionally fertile marriage that would redeem her. Whereas Ruth finds both nourishment and hope in the pastoral, Lily emotionally and romantically withers. For Lily, the fields surrounding the Small House at Allington set the stage for her romance and perhaps even sexual temptation with Crosbie, as well as the locale for the disintegration of their bond. Lily brings Crosbie back into nature to offer him freedom from their engagement, saying: “I want to have a talk with you, Adolphus, before you go in to mamma; so come with me into the field” (157). 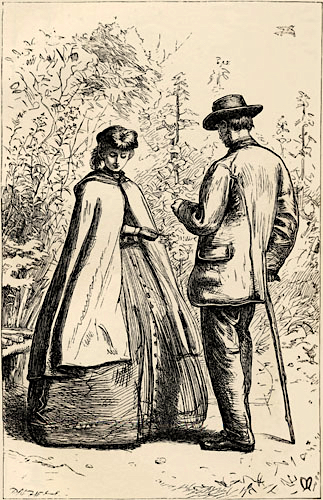 Trollope’s narrator emphasizes the cyclical quality of Lily and Crosbie’s return to the field as he notes, “…Crosbie went away with Lily into the field where they had first learned to know each other in those haymaking days” (157). This comment by the narrator not only raises the question of Lily and Crosbie’s literal love-making, a Biblical knowing of one another in the field, but also points the reader towards consideration of the infertility of their bond as they come back yet again to the place where they “first learned to know each other,” and yet display just how painfully they do not know each other (157). As Julian Thompson notes, their interaction is full of idealism, and instructive of the half-developed understanding implicit in such ideals: “…as Crosbie’s resolve wavers, Lily–– appealingly overwrought as in the moonlit garden–– takes his cowardly declaration of ‘indissoluble’ love at face value, sealing her embrace with the beautiful idealism of the words of Ruth” (Thompson xvi). Their confusion and inability to commit and move forward towards marriage destabilizes the fecundity of the fields like a strong wind ripping up weak roots. The pastoral is not a haven for Lily Dale; it is a stagnant, even destructive plain on which her own decline plays out. Not only does redemption not come through or in the rural space, but these sinister urban influences mangle and mar both the pastoral and the characters most identified with it–– a dark prophecy for the fate of rural England. Lily, much more so than Ruth, truly represents this pastoral; she does not simply dwell within it, as Ruth does, but serves as a signifier of it and its future. Lily Dale’s very name communicates both the delicate, religious purity of the flower, and the promising freedom and fertility of the fields. As Deborah Denenholz Morse explains, “Lily is also of course explicitly identified with the pastoral through her name. Her first name is that of a white flower, again suggesting purity. Her surname is the aspect of the rustic landscape…” (Morse 5). In the novel, Trollope evokes the floral qualities implicit in Lily’s appearance, painting the image of her “like some wondrous flower that had bloomed upon the carpet3” (92). Because Trollope so tightly links Lily to the pastoral, she acts as the archetype for both its beauty and its struggles. As Kincaid emphasizes, beyond capturing the purity of the rural, “Lily represents the attempt of the pressured pastoral world to reach out desperately for some stability” (Kincaid 132). Bearing both the fairness and the anxiety of rural England, Lily becomes the pastoral in a way Ruth does not, and her union to nature unites her fate with that of the pastoral in profound and tragic ways. As Trollope links Lily Dale and her fate so firmly with the pastoral, his refusal to redeem her must also be read as an ominous prophecy for rural England as the urban influence and its sterile agents enter in. As previously noted, the “disturbing sterility” of the novel rests at the center of almost all analyses of The Small House at Allington–– the undeniable realization that something has gone amiss, that spring might not be coming, or if it does, that it may bring no blooming, as the once blossom-like Lily Dale must now live on “maimed and mutilated for life” (327). Because the narratives of Ruth and Lily are, as we have examined, so closely linked, Lily’s infertility due to her self-imposed widowhood quickly becomes representative of the sterile tensions of the rural, where the “pastoral seems a small island of virtue surrounded by conditions which are, in their essence, incapable of resolution” (Kincaid 126). Lily—and the rural England she represents—now seem to be fading away. Sterility pervades the novel. As Polhemus alludes, “like love in Blake’s poem, ‘The Sick Rose,’ love in The Small House at Allington is wormish, dark, life-destroying, and barren. It is directed toward ideals or things, not human beings. It does not reproduce” (Polhemus 98). The pervasive infertility of the novel emphasizes larger Victorian anxieties, as well. Though in many ways an age of progress and consideration, Trollope makes clear that “the middle decades of Victoria’s reign were full but anxious, variegated but also in some senses impenetrable: the age was cumbersome4…” (Wright 8). As Trollope links Lily Dale and her fate so firmly with the pastoral, his refusal to redeem her must also be read as an ominous prophecy for rural England as the urban influence and its sterile agents enter in. The similarities between the stories of Ruth and of Lily Dale juxtaposed with their vastly different endings seem to expose the severity of Trollope’s commentary on the hopelessness of the pastoral fate as he deliberately denies Ruth-like redemption, and instead allows the rural world of The Small House at Allington to ache without resolution, and most of all, without reproduction. With The Small House at Allington, Trollope meant to diverge from narrative ideals, and instead suggest something darker and more urgent about the nature of Victorian England. In fact, he did not intend for the novel to be part of the Barsetshire series and its idealism at all: “Trollope in fact did not intend that Small House be part of the Barsetshire series, but Chapman (his publisher) urged that it was indeed a chronicle of Barset, and Trollope agreed to include it in the 1878 Chapman & Hall collected edition of the Barsetshire novels” (Hall 435, quoted in Morse, Reforming Trollope). Despite the pressured change in Small House at Allington’s status of belonging to the Barsetshire series, Trollope’s intentions about the divergence of the novel’s plot from much of his more optimistic early work remains clear. Beyond his deliberate denial of his audience’s wishes–– many of whom wrote to beg him to let John Eames and Lily Dale end up together–– Trollope also denies his own traditions as a novelist in many ways by leaving Lily Dale unredeemed. As Glendinning notes, Trollope’s work had a great optimistic slant, likely flowing from attempts at narrative wish-fulfillment in the context of his own life: “people who have endured a difficult childhood sometimes feel lucky… in that life afterwards can only get better. That is how it was for Anthony Trollope, and that is the theme of the autobiography he wrote when he was sixty” (Glendinning 36). Glendinning also notes Trollope’s specific proclivity to wishing happy fates for the women in his novels, even if these fates were not always accomplished: “[Trollope] wanted women to be sexually happy” (Glendinning 323). Similarly, in her book Trollope and Women, Margaret Markwick evokes the boldness and hope typical of many of Trollope’s heroines: “What close study of Trollope’s women reveals is the number who refuse to conform to the expectations of the age… He portrays with considerable empathy women who flout the codes of socially acceptable behavior” (Markwick 6-7). Unlike many of his other novels, and against the wishes of many of his readers, Trollope chooses to leave ends untied in The Small House at Allington, and in fact, to emphasize the fraying of the rope. He leans into the anxieties of the Victorian age, augmenting them instead of glossing them over. 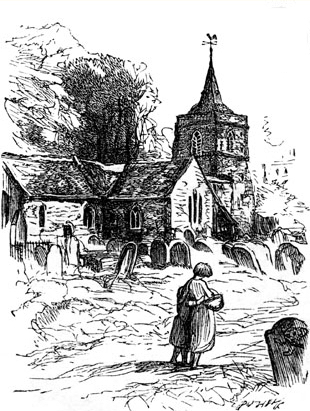 Ultimately, while most scholars base their expectations for redemption in The Small House at Allington on Trollope’s traditional proclivity for comedy and resolution, it is in fact the story of Ruth that represents the deeper layer of precedent for this hope because it establishes the ultimate foundation of our belief in redemption, even–– and especially–– for widows in the rural space. Yet tragically, Lily Dale will never again be whole or fertile; for her and for the country she represents, there will be no life-giving wheat, no optimistic end, and no redeemer Boaz. We have examined Trollope’s refusal to provide a happy marriage for Lily Dale, but upon further study–– again based on the similarities and differences between the stories of Lily and Ruth–– we see that Lily herself also resists redemption. She is not the victim of the novel’s narration. She does not at all fight her widowed fate, but instead leans into it, never seeking to go beyond it and hopefully reach for a new and fertile life. While Ruth’s story represents one of adaptation and boldness, Lily’s demonstrates sharp obstinacy towards evolution and renewal. Ruth initially refuses to leave her mother-in-law, Naomi, after the death of both their husbands for the chance of a second marriage back home.6 Though she stays with Naomi, clinging to an infertile maternal bond much as Lily Dale does, Ruth ultimately goes out, seeking stability, if not progressive redemption, in the fields of one of Naomi’s relatives, Boaz. She humbles herself to gather the leftover wheat in Boaz’s fields, and he rewards her, elevating her to pick beside his own servants, instead of trailing behind them, and commands them to see to her physical needs7. Finally, Ruth boldly obeys her mother- in-law’s command to go and lay at Boaz’s feet that night, and after Boaz discovers Ruth, he arises the next morning to go to the men of the city and arrange for permission to literally serve as Ruth’s redeemer.8 Ruth, though initially hesitant to leave the safety of her maternal bond, ultimately goes out, humbling herself in Boaz’s fields and at his feet, receiving for a reward the new hope of love and fertility for her, and security for Naomi in the rural space. Conversely, Lily Dale does not experience similar redemption through such renewal. She does physically go on with her life; in fact, she handles herself with so much calm that it frightens her mother. After reading Crosbie’s fateful letter cancelling their engagement, Lily “sat for some five minutes, with her eyes fixed upon the open window, and with Crosbie’s note in her hand” (325). Her stillness is shocking, her immediate reaction of forgiveness even more so, as she declares: “‘I will not hate him, and I do forgive him,’ she said at last, struggling to command her voice, and hardly showing that she could not altogether succeed in her attempt” (325). Yet, Lily does not allow her life truly to continue after Crosbie’s betrayal. According to Mrs. Dale, Crosbie had “torn her ewe-lamb,” and had “maimed and mutilated” Lily, presumably beyond repair (327). Trollope does accentuate Lily’s resilience in many ways, noting that “she bent herself to the blast… and then arose with her form still straight and graceful, and with her bright light unquenched” (336). Still, Lily’s way of coping is to bear her sorrow well, but not to deliberately raise herself above it. We see this clearly as it emerges, however subtly, as a point of contention in the intimate bond between Lily and Mrs. Dale. Lily tells her mother, “I know that I can bear it… and that I can bear it without lasting unhappiness. Of course I shall always love him, and must feel almost as you felt when you lost my father” (336). Beyond her insensitive and inaccurate comparison to her mother’s true and poignant widowhood, Lily’s comments reveal her deep resignation to her shattered future, and bear our repeated remembrance that she has not actually been widowed as her mother has, and yet grieves almost more deeply than if she had been, mourning a wound from which “recovery could not be quick,” much like “a fawn wounded almost to death”9 (335). TROLLOPE DOES NOT leave it to his audience to decide whether or not Lily’s reaction is appropriate, but instead allows truth to come through Lily’s own mother, and her disagreement with her daughter’s response. As the narrator succinctly says, “When Lily declared that she still loved the man who had ill-used her, Mrs. Dale would be silent. Each perfectly understood the other, but on that matter even they could not interchange their thoughts with freedom” (336). Lily does not strive to bring about restoration–– in big or small ways–– in her own life. She resigns herself to widowhood, refusing to marry John Eames, even though Mrs. Dale remains convinced that, “time would cure Lily’s wound, and that her child might yet be crowned by the bliss of a happy marriage” (337). The last we see of Lily, she “was left to flirt with Lord De Guest” at her sister, Bell’s, wedding––– a picturesque encapsulation of her lack of fertility or freshness, she was simply “left” like leftover wheat, without hope of redemptive love found in or through the pastoral (664, emphasis mine). In contrast to the fertile hope of Ruth’s narrative, through Lily Dale and her embodiment of the pastoral, Trollope raises the possibility that English rurality and its maternal and sororal relationships are in fact deeply broken and no longer fertile, no longer capable or willing to evolve, decaying roots of family trees and of nationhood in danger of withering away. Ultimately Trollope’s refusal to redeem Lily Dale—intensified by both the Biblical echoes of the foundational story of Ruth and the general tradition of his narrative career—points us deeper towards the obstinacy of Lily Dale, her intense resistance to renewal and its reverberations in the pastoral space. 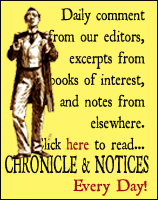 For Lily Dale, there is no redeemer Boaz—despite the possibility of a relationship with John Eames, because she refuses to accept Eames as one, refusing to rethink her fairy tale and boldly to try again as Ruth did, leaving us with a narrative that is, as Glendinning notes, “shot through with desolation” (Glendinning 136). No longer fields of plenty, the Allington fields have become a wilderness, where the maternal bonds to which Lily clings represent a sort of regression, a fading away of pastoral ideals. As Thompson posits, this fading is implicit in Lily herself: “The landscape of her love and its pleasures (reading in the long evenings) is silvery, twilit, autumnal” (Thompson xv). Maternal and sororal bonds, of course, bear huge cultural significance and beauty, but in The Small House at Allington, they also threaten a regressive, Darwinian failure to leave the nest, adapt, and reproduce. James R. Kincaid posits that “Lily represents the attempt of the pressured pastoral world to reach out desperately for some stability,” and yet Lily does not even reach, she instead recedes, she clings (Kincaid 132). Ultimately, only Bell Dale and Dr. Crofts go on to fertility, Lily Dale––unable to willingly and responsibly adapt to a changing future–– drifts away, like the ship of a captain who “had kept no look-out ahead10” (665). Such behavior– and its sterile consequences–– serve as a warning to rural England against such regression, and suggest that fruitful survival flows from the willingness to change, to correct course, and to sail on11. Alexander, Kaelin B. C. “Turning Mourning: Trollope’s Ambivalent Widows.” Victorian Literature & Culture, vol. 43, no. 3, Sept. 2015, pp. 607-620. EBSCOhost, doi:10.1017/S1060150315000108. Glendinning, Victoria. Trollope. London: Hutchinson, 1992. Print. Hall, N. John. Trollope: A Biography. New York: Oxford U Press, 1993. Print. Kincaid, James R. The Novels of Anthony Trollope. Oxford: Clarendon Press, 1987. Print. KING JAMES BIBLE. N.p. : n.p., n.d. Print. Markwick, Margaret. Trollope and Women. London: Hambledon Press, 1997. Print. Polhemus, Robert M. The Changing World of Anthony Trollope. Berkeley: U of California Press, 1968. Print. Thompson, Julian. “Introduction.” The Small House at Allington. By Anthony Trollope. N.p. : Penguin Group, 1991. Ix-Xxxi. Print. Wright, Andrew. Anthony Trollope, Dream and Art. Chicago: U of Chicago Press, 1983. Print. Cockshut, A. O. J. Anthony Trollope. London: Collins, 1955. Print. Durey, Jill Felicity. Trollope and the Church of England. Houndmills, Basingstoke, Hampshire: Palgrave Macmillan, 2002. Print. Markwick, Margaret, Deborah Denenholz Morse, and Regenia Gagnier. The Politics of Gender in Anthony Trollope’s novels: new readings for the twenty-first century. Farnham, Surrey, England: Ashgate, 2009. Print. Pollard, Arthur. Anthony Trollope. Boston: Routledge & Kegan Paul Ltd, 1978. Print. Trollope, Anthony, and Nicholas Shrimpton. An Autobiography and Other Writings. 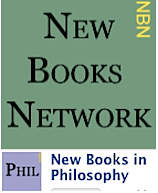 Oxford: Oxford U Press, 2014. Print. Katharine Scott is an undergraduate at the College of William and Mary. This essay was the undergraduate winner of the 2017 Trollope Prize which is administered by the English department at the University of Kansas, with support from the Hall Center for the Humanities. It is awarded annually to the best undergraduate and graduate essays in English on the works of Anthony Trollope. 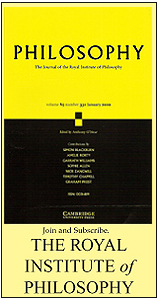 Winning essays are published in The Fortnightly Review. The Prize was established to focus attention on Trollope’s work and career, to promote the study of Trollope in college classrooms and to encourage student engagement with both Trollope’s work and Victorian literary history through intensive research and writing. Please see the Trollope Prize website for more information on the Prize. Ruth 1:15-16 demonstrate that the conversation has passed between Ruth and Naomi, not Ruth and Boaz as is often culturally remembered. Boaz does not enter the story until Chapter 3. In his Anthony Trollope: Dream and Art, Andrew Wright examines Trollope’s consideration of “the bundle of contradictions now labeled ‘Victorianism’” (Wright 8). Hall, Biography, 435. Quoted in Morse, Reforming Trollope, 1. Cultural convention established certain male family members as eligible to marry and “redeem” widows in their family. In the story, Boaz goes to the man in this place for Ruth, and finds him unable to redeem her. He gives the right instead to Boaz, saying: “I cannot redeem it for myself…redeem thou my right to thyself; for I cannot redeem it” (Ruth 4:6). Chapter 31 goes on to refer to Lily as “the wounded fawn,” an interesting and violent divergence in personification from the idyllic pastoral she first represented (335). 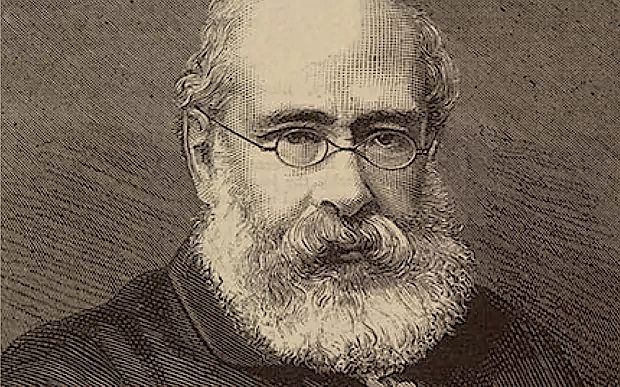 Trollope closes the novel with the image of Adolphus Crosbie as an unwise and inattentive sailor: “He had taken his little vessel bravely out into deep waters, and had sailed her well while fortune stuck close to him…and success had made him idle… he had kept no look-out ahead. Therefore the first rock he met shivered his bark to pieces” (665). See Morse’s conclusion to Reforming Trollope, Chapter One: Broken English Pastoral: The Small House at Allington (1864) pages 39-40. Publication: Tuesday, 28 November 2017, at 23:41. Options: Archive for Katharine Scott. Bookmark the permalink. Follow comments here with the RSS feed. Post a comment or leave a trackback. ‹ Between history and myth in Austin, Texas.